Using fictional but relatable text-messaging conversations, Andre is able to communicate deep truths about the cross and resurrection. By capturing the way young adults interact daily on their smartphones, he draws the reader into the characters’ messages as they explore how God could be the answer to the questions they face. We struggle with loneliness, removing the (social media) mask and letting people see the real us. We worry that when we hit rock bottom, will anyone stick by us and love us through it all? Who can we really count on? Who can like me when I don’t even like myself? Andre believes we can find answers to these questions in the life, death and resurrection of Jesus. The Bible reveals the cross itself directly answers these question, and brings the deep connection and relationships we crave. 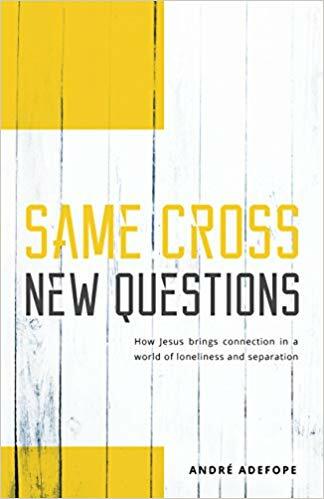 Andre shows how the theme of connection is often forgotten, but can enrich other amazing truths we know about the cross so whether we’re Christians or not, we can make room for God and his beautiful gospel in our struggles and every area of our messy lives.